Perfect for your pets! Research is being done across the globe on the benefits of CBD for pets, especially with mobility as the weather gets colder, and pets get older. 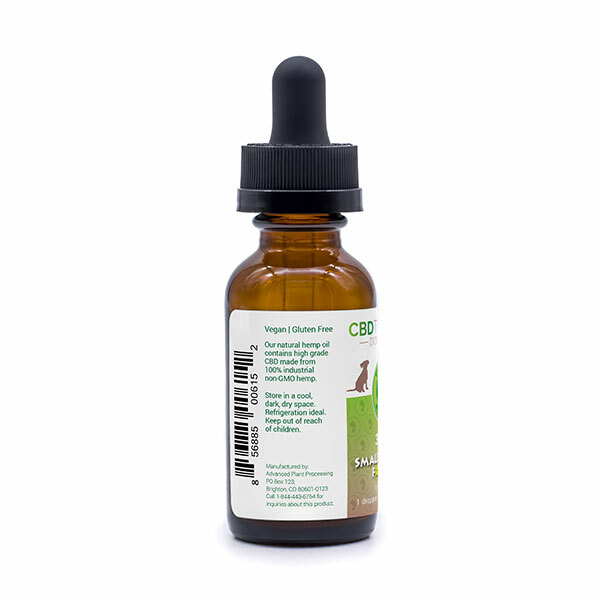 Pure Hemp Botanical’s Pet CBD Oil Tincture contains only the finest-quality cannabidiol made from organically grown industrial hemp. Pure Hemp Botanicals products are crafted by using whole-plant extraction methods. Our Pet CBD Oil Tincture offers the full array of naturally occurring cannabinoids and plant terpenes in a convenient 300mg bottle. This quick-absorbing tincture can be used during the day as needed or in the evening. Suggested serving: 1 ml dropper. Perfect for your pets! Research is being done across the globe on the supportive uses of CBD for pets. 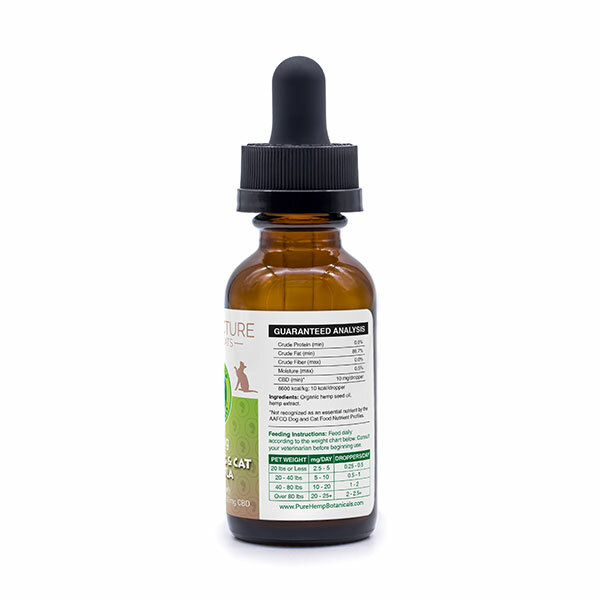 Pure Hemp Botanical’s Pet CBD Oil Tincture contains only the finest-quality cannabidiol made from organically grown industrial hemp. Pure Hemp Botanicals products are crafted by using whole-plant extraction methods. Our Pet CBD Oil Tincture offers the full array of naturally occurring cannabinoids and plant terpenes in a convenient 300mg bottle. 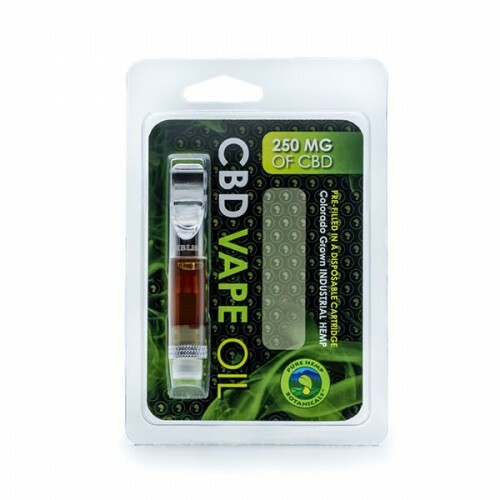 This quick-absorbing tincture can be used during the day as needed or in the evening. Suggested serving: 1 ml dropper. 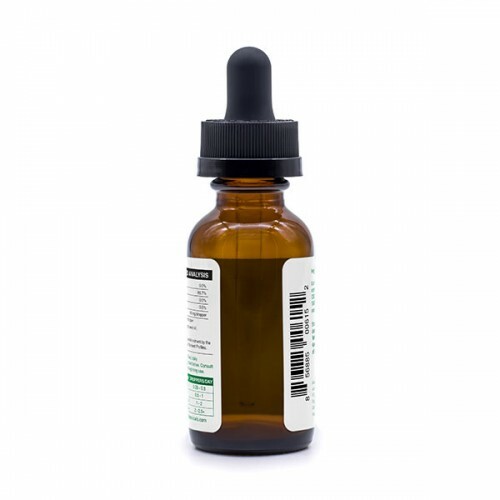 Pure Hemp Botanical’s CBD Tincture is a fast-acting, controlled dose of high-quality cannabidiol that doesn’t require inhalation. Derive the many benefits of hemp in a 1 ml serving that offers the full array of naturally occurring cannabinoids and plant terpenes in a convenient 300mg or 750mg bottle. 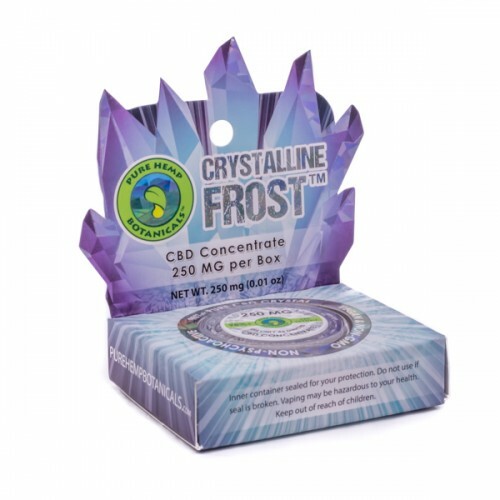 This quick-absorbing tincture has a smooth, natural flavor that works best when placed under the tongue. It’s completely pure, free of additives and discreet for easy consumption. Grown, processed and packaged in Colorado, we take pride in our Pet CBD Tincture derived using whole-plant extract. Our concentrated liquid is perfect for cooking and baking, so you can enjoy tinctures with the fun of edibles. 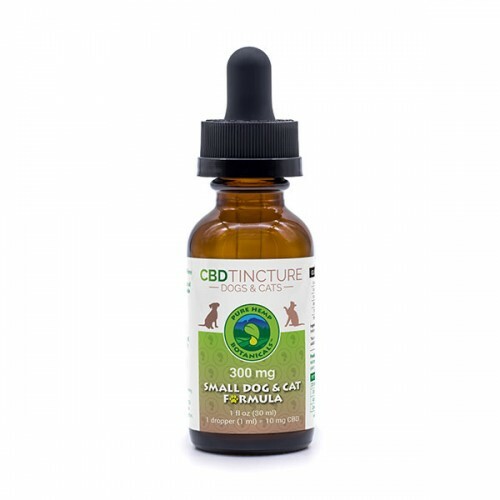 Even though the Pet CBD Tincture shows its effects immediately, rest assured that this product is non-psychoactive and contains less than 0.3% THC. Like all of our products, CBD Tincture is always vegan, cruelty free and non-GMO. I love this product and would highly recommend for pet owners who spend way too much at the vet as I was. My dog is a jack Russell terrier so she’s always been anxious and with age it’s only grown but ever since giving her this tincture she has greatly improved overall. She no longer bites herself out of anxiety and possibly skin irritation and seems much more calm in general. Sometimes she even acts just like a puppy again and will run back and forth all fast which is crazy to see at 12 years old. Thankful for oregons laws that allow us to have access to this in our medical dispensaries and thank you pure help botanicals. This stuff is great! My dog Mona hurt her 13 year old knee. She limped around for a month after her vet said there was not much we could do. BUT, after 3 days of this stuff she’s getting her strut back! The knee is still injured, but she clearly is feeling better. I’m so pleased. Thanks! My dog Bentley is a labradoodle that weighs 111 lbs. He has arthritis in he’s back leg knee joints. This oil has helped me ween him off of Rumidil and Rivera for pain. My 13 year old chihuahua was going to the vet monthly for Prednisone injections for her knee and she was still barely able to walk more than a few feet without falling. After a few weeks on the CBD oil she can walk all over the house and in fact she now tries to run! Her injured knee makes it more like a half run, but I never thought that I would see the day that she could walk more than a few feet again much less try to run all over the house. She has not had a Prednisone injection for months and is getting better and stronger every month. I also like the way it makes her fur so soft and luxurious, just an added bonus. I am very grateful to have this product available for her.